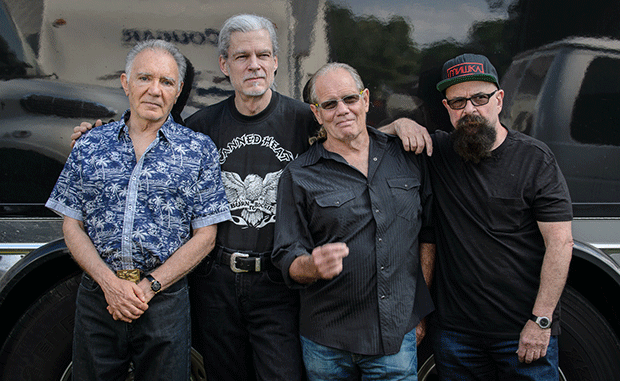 Canned Heat, are on their way down under in May for gigs in Melbourne, Sydney, Newcastle, Gold Coast, Newcastle, Sale and Albury. Their Top 40 Country-Blues-Rock songs, On The Road Again, Let’s Work Together and Going Up The Country became anthems throughout the world with the latter being adopted as the unofficial theme song for the film Woodstock. Their cover version of Wilbert Harrison’s Let’s Work Together was actually their biggest hit as it rose to No. 1 in 31 different countries around the world. Now, more than fifty years later and with thirty-eight albums to their credit, Canned Heat is still going strong. The lineup for their tour includes founding members Fito de la Parra & Larry Taylor plus long standing members, John “JP” Paulus & Dale Spalding.